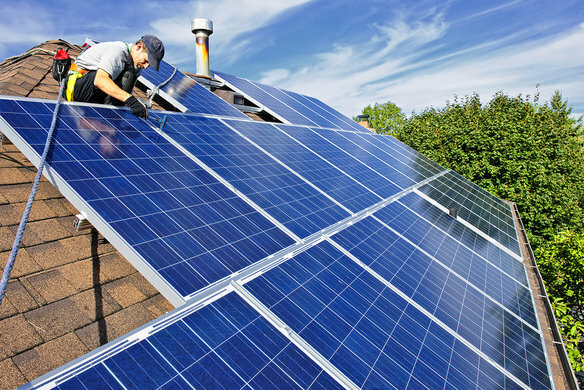 Many house owners are interested to build their own solar panel system to save energy bills. There are things that we need to consider if we contemplate in building such a system. The system is usually available in an easy to build kit and in many cases, we can do this as DIY project at our home. Whatever kit we choose, it is important that it comes with an easy to use blueprint, so we will know what we should do with all the components. Sun is the largest, accessible energy source and it won’t disappear until a few billion years from now. In order to contribute in the going green movement, having a solar panel system in our house should be a really good thing. However, we should know that although building the panel itself is relatively easy, integrating it with the existing electricity system inside our house may require a different set of skills and expertise. It means that we may need to work with an experienced electrician who not only understands about electrical matters, but he should also comply with the local rules about electricity. When buying the kit, we should make sure that we have all the materials needed ready for use. There are two main components of solar panel system. The most visible component is definitely the photovoltaic panel and it is used to directly harness the energy of the sun, which can be converted to usable electricity. The system may also have a thermal system, but instead for conversion to electricity, it is only used for heating water. First of all, it is important to determine whether having a solar powered kit can make a difference in terms of energy efficiency. If the solar panel system is our local area is relatively affordable and reliable, we should consider installing it, especially if the electricity utility bill is relatively high. A complete solar panel system may run into a few thousands of dollars and you will be assured that the system will work well. A good instruction should allow you to avoid committing many precious hours to put the system together and struggle to make it work for you. The solar panel system may include various components, such as solar cells, copper wire, core modules, clear PVC sheeting and special tools. It is a good idea if the producer is able to provide spare parts, if some of the components are damaged during installation and usages. It is even better if the solar panel system can be repaired immediately at home, if it is just slightly damaged. This will allow us to save time and a lot of money. In general, before we buy a solar panel system, it is important that the system is efficient enough that we will be able to cut down on the overall electricity costs. We should also make sure that there’s a clear blueprint that can help us to easily build the system.